Paintings on canvas stretched over a wooden frame like these cost around US$10-$30 depending on the size and style, and shipping these items to Australia wouldn't be too bad as they are light and a lot would fit in a container. There were also some cool paintings that had nice looking real clocks designed into the painting and built into the frame. I think they could retail for around $50-$150. I can't think of an exciting word of mouth angle to market these, and mass produced paintings doesn't feel super inspiring but I'm sure there's a market for them and some searches on Google don't show up too many retailers selling them online. Would you buy a painting like this online if you knew the quality was good? 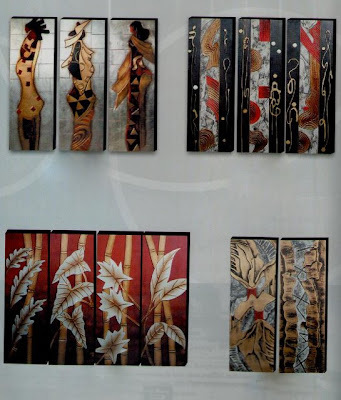 The boxes in this image are jewellery boxes and the image doesn't do them justice, but you can get all sorts of boxes and cases with a similar look and feel - tissue box covers, magazine racks, wine racks, key holders etc. 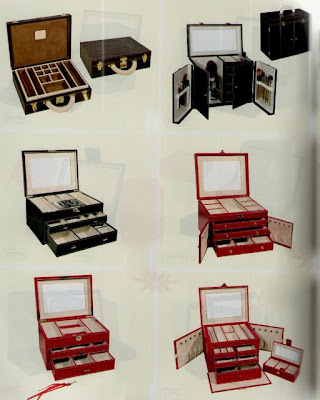 Prices range from US$3 up to US$34 for the most complicated jewellery box in the photo above. I know very little about the homewares market, and I don't have a good marketing angle for an online store that would sell these products, but I like the look of them and I'd guess the margins are good. You're the boss. You tell people what to do. You need a great chair. Introducing "The Boss". Exuding power and confidence just like you, The Boss is an insanely comfortable and stylish chair. 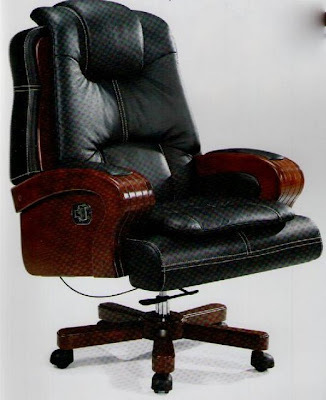 Your hard working forearms will rest on polished wooden arms while your masculine body relaxes on high quality cushioned leather supported by a steel reinforced frame. After delivering the latest set of important orders your overachieving brain/head can lean back on a softly cushioned pillow encased in quality cow hide. You make the decisions so The Boss comes in a choice of 3 luxurious colours, black, brown and white and comes with a "no questions asked because you're the boss" 24 month warranty. The retail website would be very simple - one chair available in 3 colours. This would be a lot of fun to market but my main reservation is that the market for men buying their own chairs isn't large. Most people's office chair is provided by their employer and few employers would dish out the $600-$800 or so we'd need to charge for this chair (which costs US$185 plus another 50% or so in shipping to Australia - each chair weighs 38kg and about 70 fit in a 20" container). Lol! I couldn't get that song out of my mind while I was writing this post! For the price of one of those outrageously comfortable looking chairs, we could probably come up with some investment-worthy contemporary Australian art by our very own exciting emerging artists (: Maybe Mike could come up with some 'design your own leather chair' software instead? Design ur own mega comfy chair... i like it!